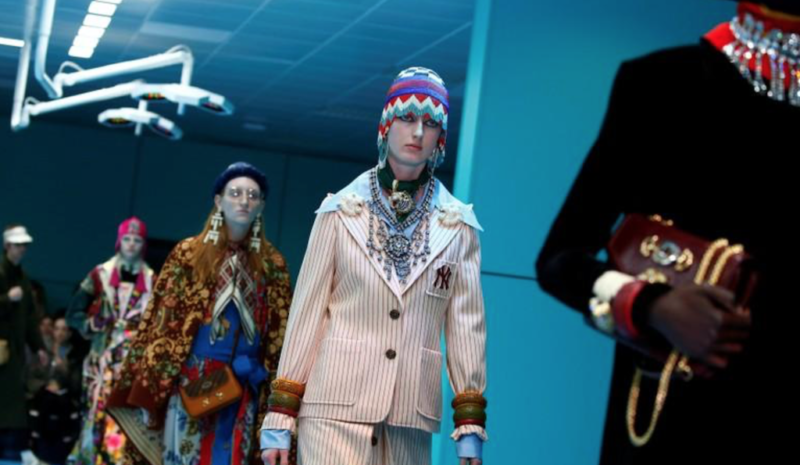 “Gucci Cyborg is post-human: it has eyes on its heads, faun horns, dragon puppies and doubling heads,” says creative director Alessandro Michele. “It’s a biologically indefinite and culturally aware creature.” Alright then! 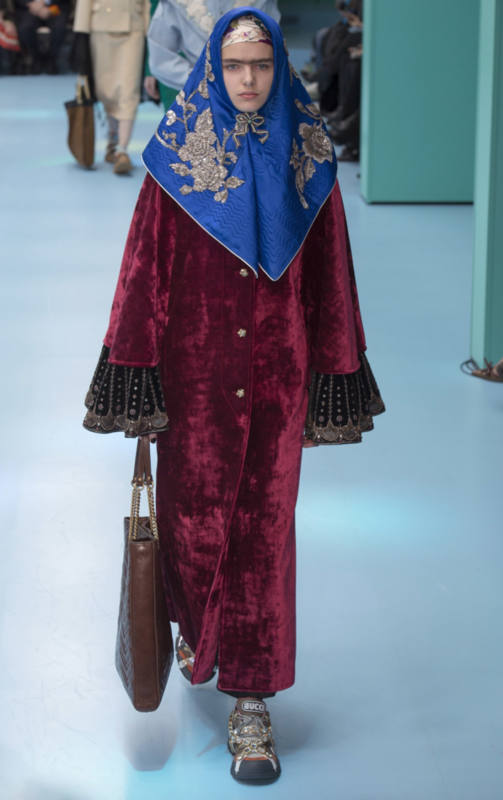 Inspired by feminist philosopher Donna Haraway’s 1984 essay “A Cyborg Manifesto,” the concept of this Gucci Fall 2018 collection, presented recently in Milan, is about cyborgs presenting as human, shirking off society’s traditional gender labels. 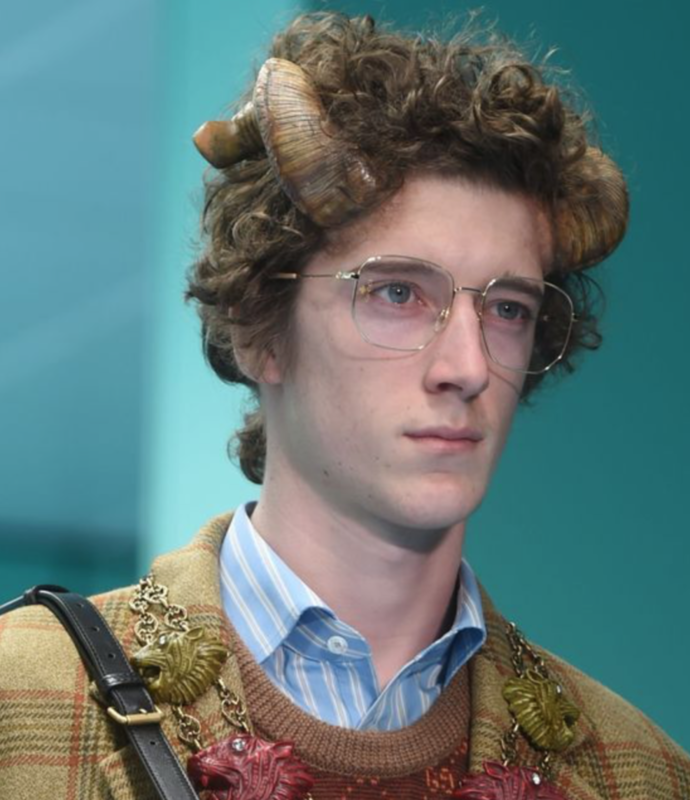 Indeed, the Gucci Fall 2018 collection reflects this crossed-culture idea. 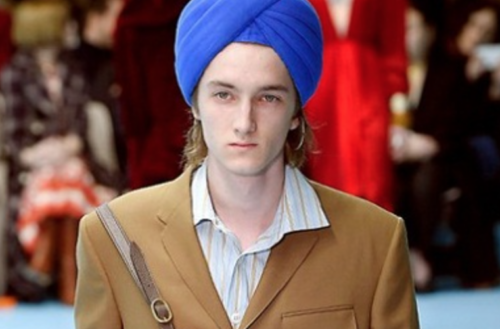 Michele reconstructed traditional garments like Russian babushka headscarves into something new. He also mixed Chinese pajamas with Scottish plaid for a fresh look. 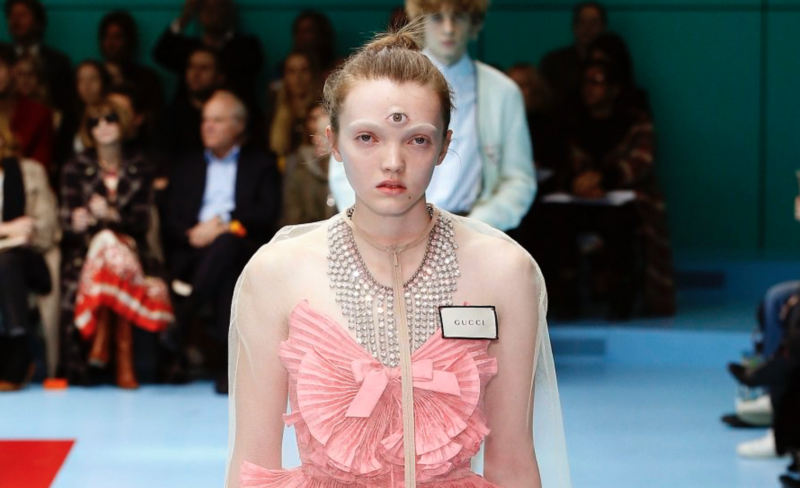 He even applied pop culture, like manga, as part of his design inspiration for the collection. Like the operating bed set up in the middle of the runway (above), several unique props appeared in the show. These special-effect props were the other star of the collection. 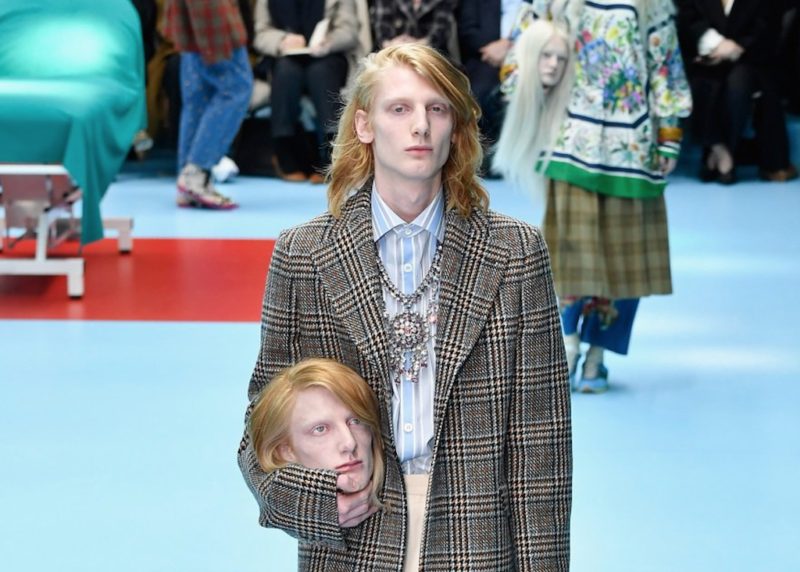 Want a head as your new accessory? This severed head happens to be a replica of the real model’s head. According to Makinarium, this creative process took the firm about six months to complete. Is he a man? Is he a goat? Either way, this cyborg pulls off geeky chic beautifully. 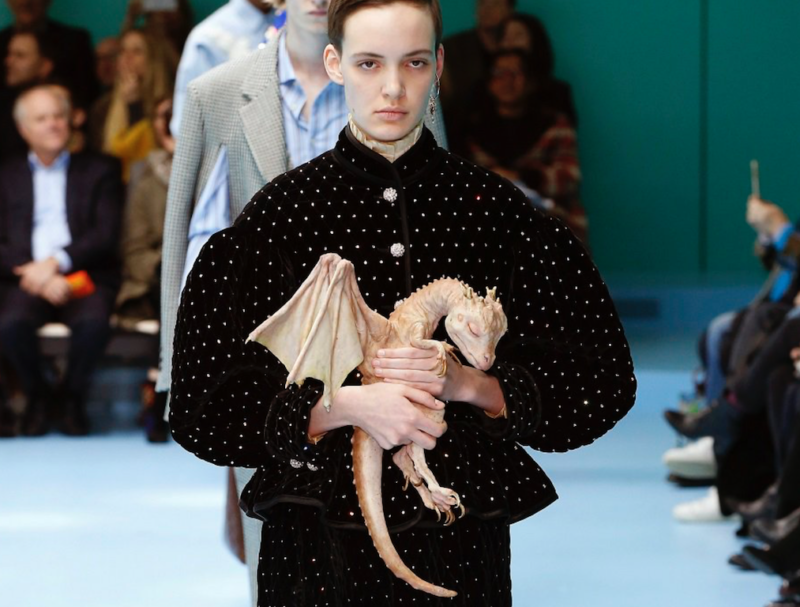 This look featuring the baby dragon gives us Game of Thrones realness. Maybe we’ll see Daenerys Targaryen sporting this fierce outfit in the long-awaited final season. An idea for this year’s Halloween costume? The sheer garment bag isn’t technically a prop. 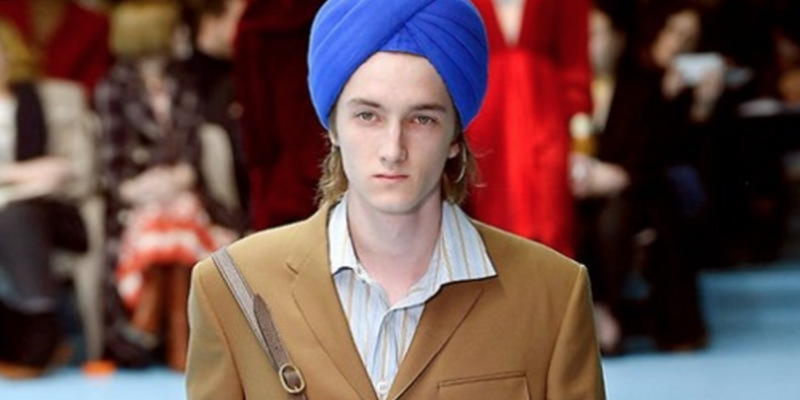 But we can picture this ‘fashion invention’ being used as an expensive bug repellent for someone. 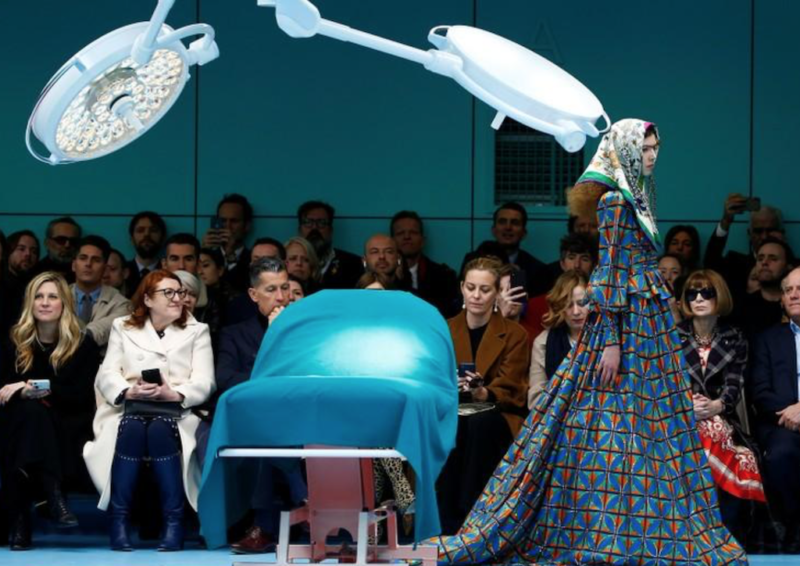 What did you think of the Gucci Fall 2018 runway show? Sound off in the comments.